Mustangs, Etc. was founded by Arnold Marks in 1976. Arnold, a devoted car nut his entire life, saw how popular the first Mustangs still were after ten years, even though they were just "used cars" at the time. Today, Mustangs, Etc. is still owned and operated in the same location by Arnold's son, Garrett. Mustangs, Etc. 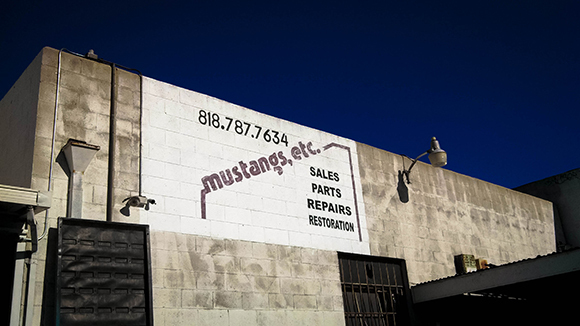 currently offers full service repair, covering both mechanical and body. Anything from an oil change or paint touch up to a full scale restoration, we can handle it!